I wear these all the time. As of now they're only for indoors, and about once every two weeks I throw them in the washing machine. This is my first pattern, so sorry if it doesn't make perfect sense. Please feel free to message me if you need help with specifics in this. 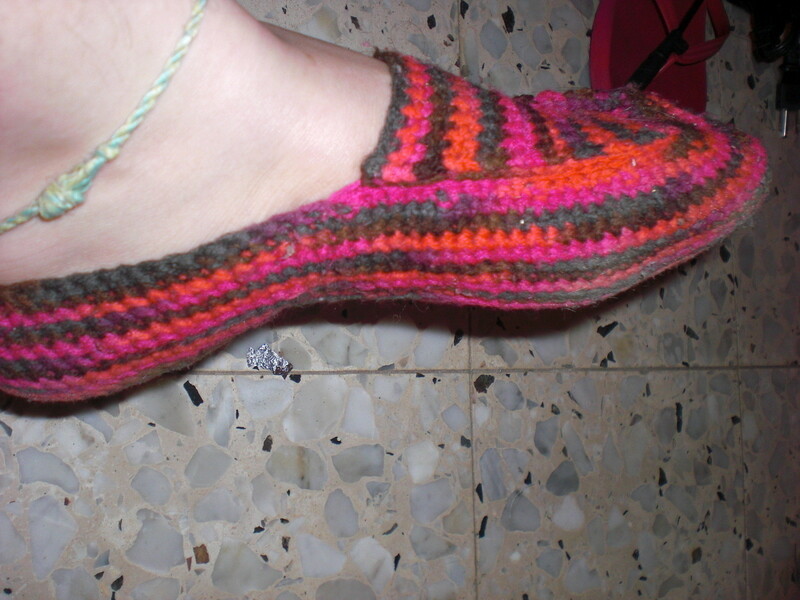 Finished size fits foot sizes 8-10 (probably more, though, too, as it stretches). Now sc around the posts of the sole that you've made. Do 2 sc instead of 1 sc in each corner so that it doesn't curl and keeps its shape. Go back to where you started the tongue. 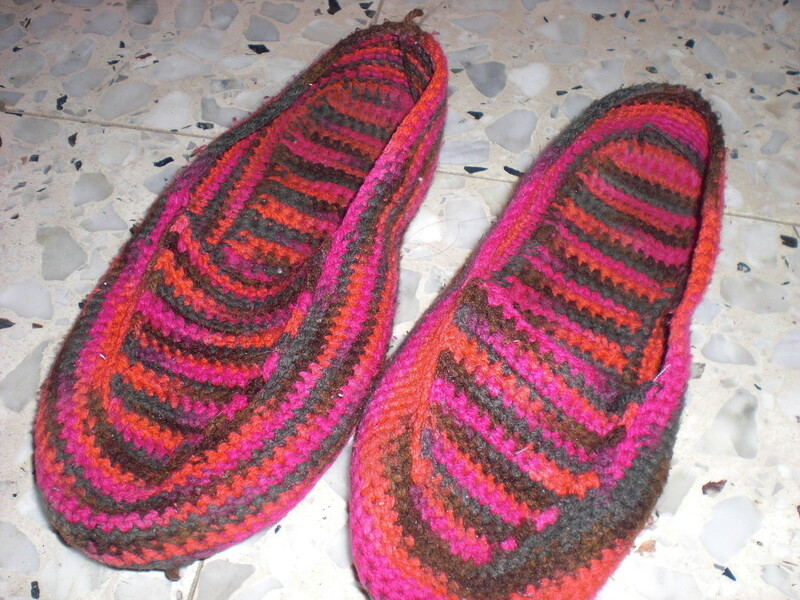 Sl st the tongue to the sides of the slippers. This creates the raised ridges on the sides. Hey Amanda, it is in women's sizes. Maybe it's your yarn? I used a yarn that was probably a little thinner than worsted weight (but it was in Israel with a different system so I'm not sure.) Another option would be to go down a size in crochet hook. Let me know if this helps! I'm so glad that you're doing a project of mine! Love the slippers! 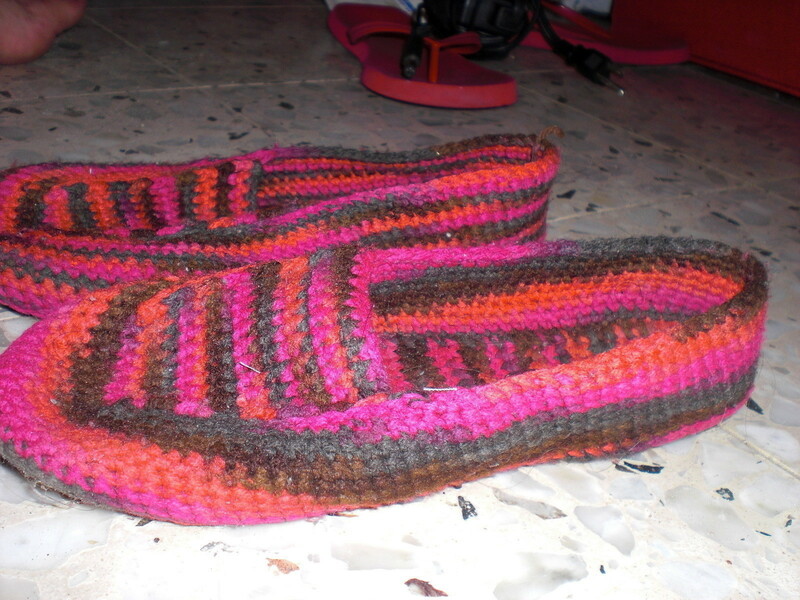 I've been crocheting them and they aren't coming out right they are coming out waaay too big. Is it women's size? I made these and they came out really boxy. I had to alter them a bit because i needed a size 7. i guess the alterations messed them up a bit. ohhh well. they'll serve thier purpose.